With the recent launch of Windows 8, which was followed up by the launch of Surface for Windows RT, and Windows Phone 8, the desktop, laptop, mobile, and tablet worlds have been shaken up dramatically. A lot has been said about Microsoft’s latest version of Windows, and its attempt to embrace both the desktop and tablet spaces in the market. Many have called the touch-optimized ‘Metro UI’ a useless gimmick for the desktop, while others scoff at the massive weight of full-fledged Windows 8 Pro tablet. You can read our full review of Windows 8 here, to get a better idea of just what is new, what works, and what doesn’t work. 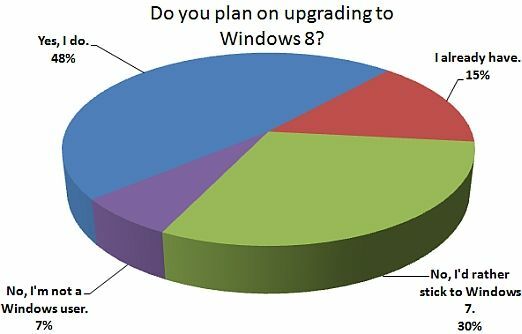 In the meanwhile, in the days accompanying the launch of Windows 8, we’d asked our readers whether they planned to upgrade to the new OS. We’ve received 2,475 responses since then, across our website, Facebook page, and newsletters. We thank our fans, readers and subscribers for taking the time out to share their views, and hope to see the same level of enthusiasm in the future. 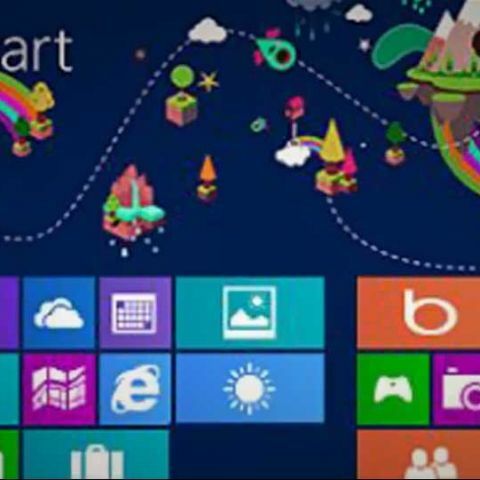 A total of 48 percent, or 1183 readers said they planned on upgrading to Windows 8. 15 percent, or 371 readers, said they already have. These figures would make Microsoft quite happy, as they imply a combined 63 percent of our fans and readers planned on upgrading, or had already upgraded to Windows 8. Of the remainder, 30 percent, or 755 users, chose the option “No, I'd rather stick to Windows 7.” This indicates a relatively large number is probably waiting to see just how good Windows 8 is, or waiting for launch bugs to be ironed out, or, just not sure of the value proposition of a new OS, when Windows 7 is serving them so well. Lastly, 7 percent, or 166 readers, said they don’t use Windows at all, indicating the percentage of sole Linux or Mac OS X users.